For the domestic traveler, San Francisco is a city that can't be beat and this dazzling guide covers its charms, both great and small. The Golden Gate Bridge, the Palace of Fine Arts, a cable-car ride over Nob Hill, or the Golden Gate Park are all can't-miss attractions and richly described and illustrated. But a walk through Macondray Lane, the murals in the Mission, or a treat of authentic dim sum are equally inspiring and equally covered in our pages. EXPANDED COVERAGE: New hotel and restaurant reviews illustrate what's current and hip in this ever-changing city. A revamped Wine Country chapter with new features on family-friendly wineries and lush new spas gives travelers reasons to head to Napa and Sonoma. 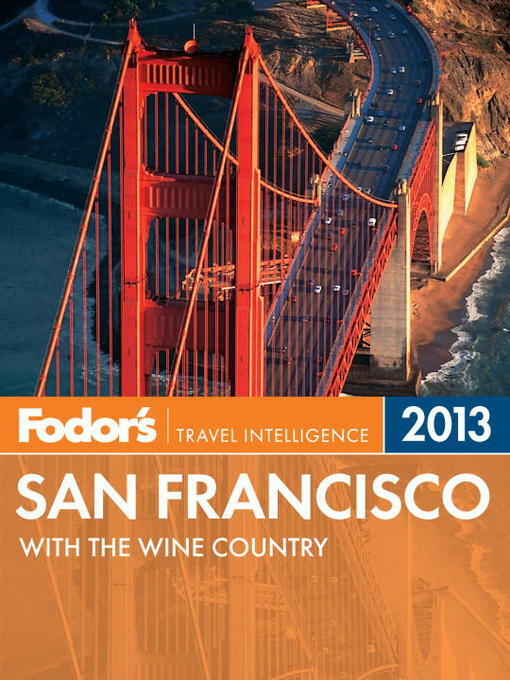 Discerning Recommendations: Fodor's San Francisco offers savvy advice and recommendations from local writers to help travelers make the most of their time. Fodor's Choice designates our best picks, from hotels to nightlife. "Word of Mouth" quotes from fellow travelers provide valuable insights. TripAdvisor Reviews: Our experts' hotel selections are reinforced by the latest customer feedback from TripAdvisor. Travelers can book their San Francisco stay with confidence, as only the best properties make the cut.